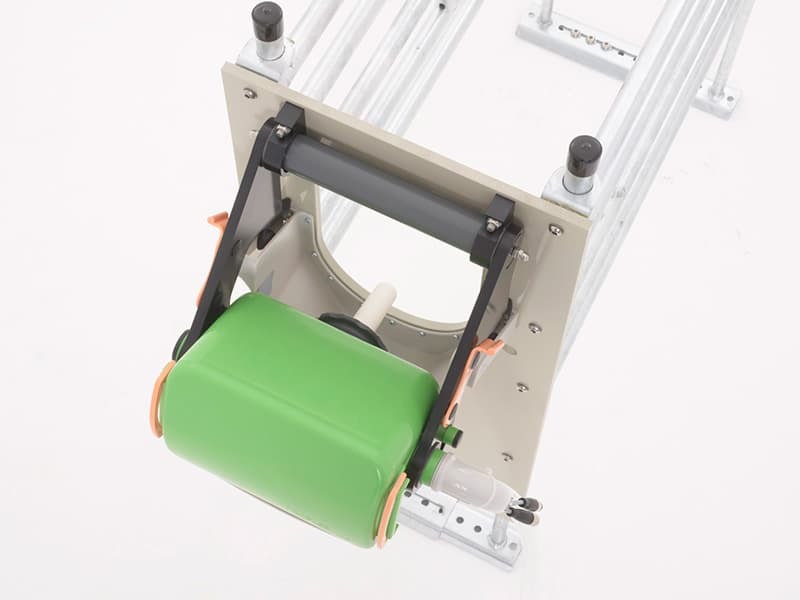 The innovative HygieneBox expands your automatic feed system to include fully automated pump hose cleaning! 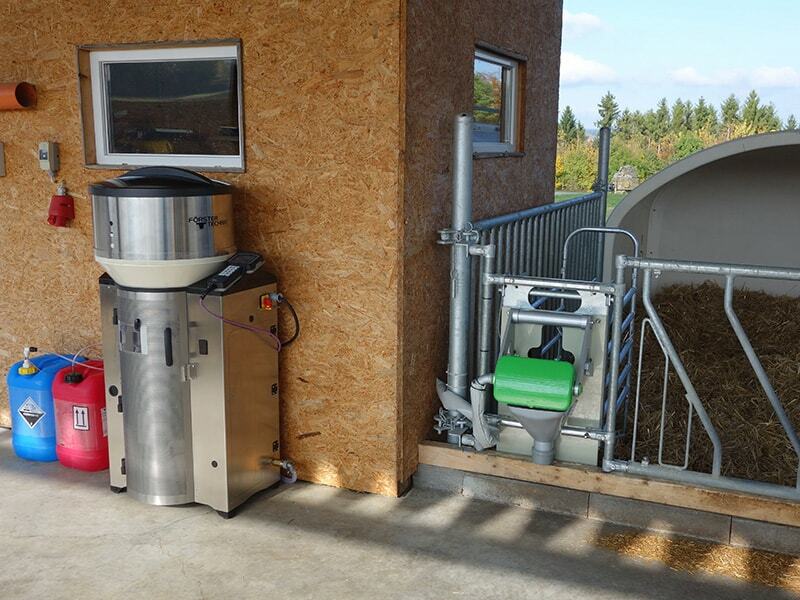 The complete pump hose system can be automatically flushed up to four times per day, optionally with one or two detergents – for optimal hygiene from automatic feeder to teat! 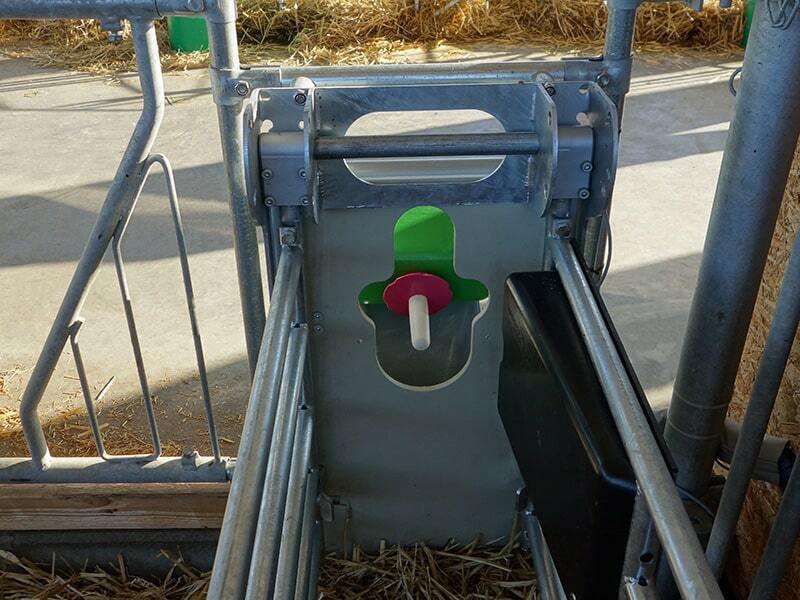 Due to the new external flushing the teat is also cleaned automatically with clear water after each calf. 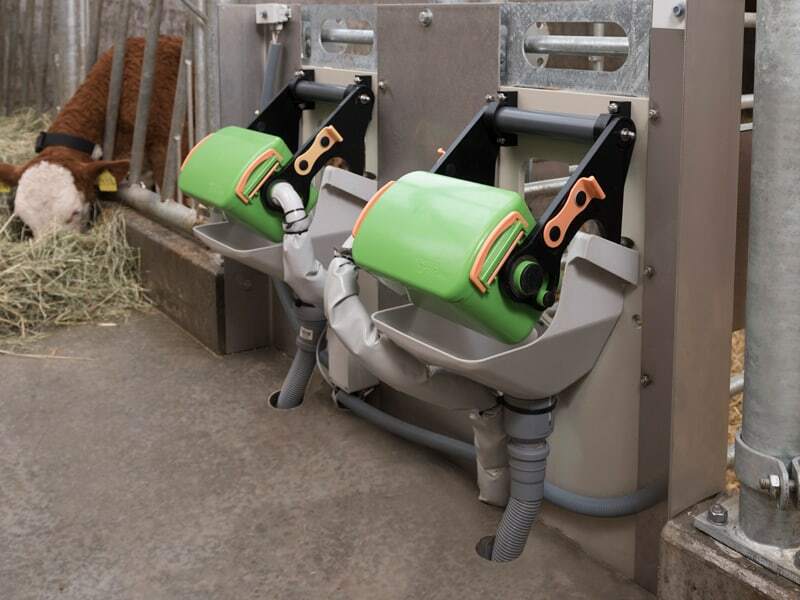 Innovative feeding equipment based on nature’s example: The mobile HygieneBox enables your calves to engage in their natural teat nudging behavior. Activity while feeding is an important indicator for the wellbeing of your calves – which you can exploit for your benefit! 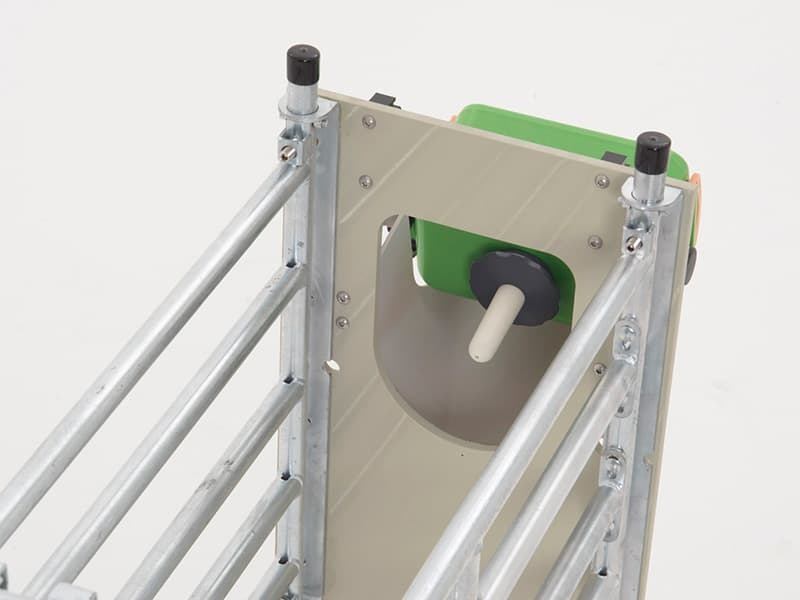 HygieneBox is equipped with an activity sensor that supports early illness detection by your automatic feed system. This allows you to take action quickly and prevent disease. 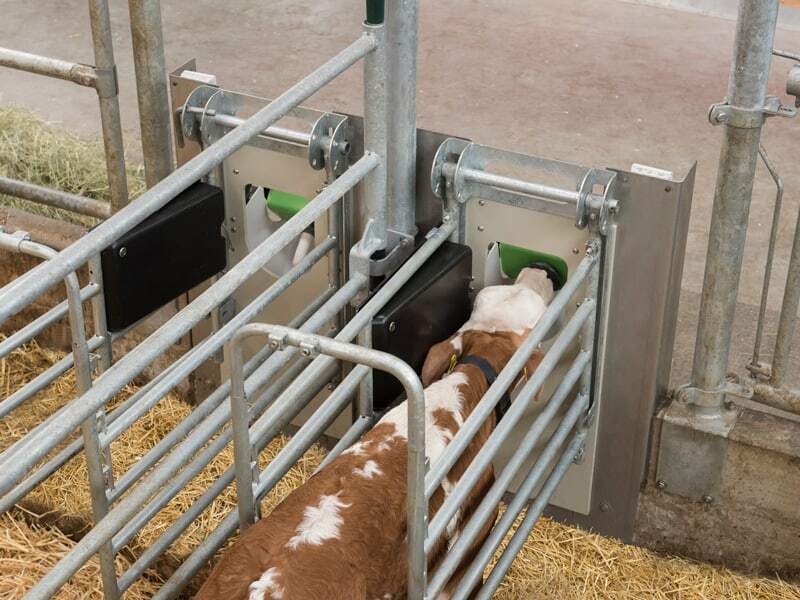 Due to the automatic training function of the HygieneBox you save valuable working time: If a new calf is registered in the feeding station, the HygieneBox automatically dispenses a small amount of feed. 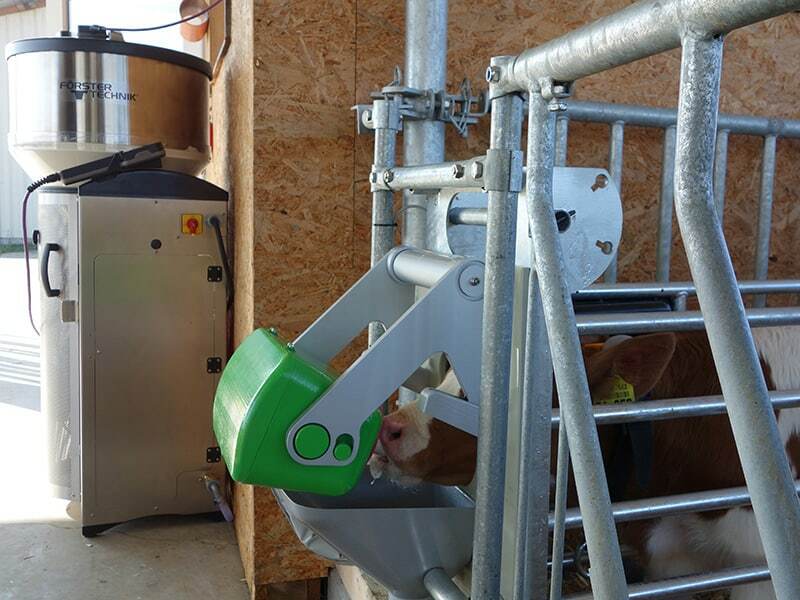 The calf learns to use the feeding station independently fast, even when you are not in the barn. 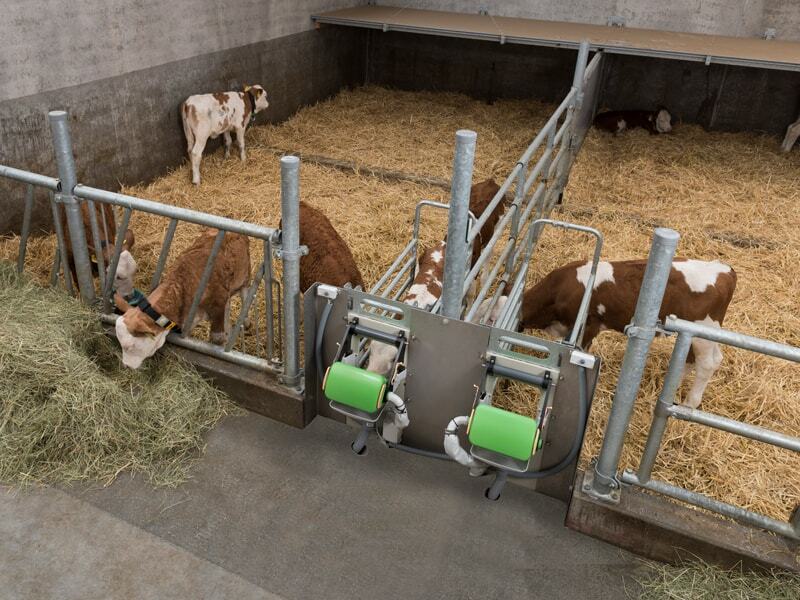 Discover our award-winning Smart Calf System! 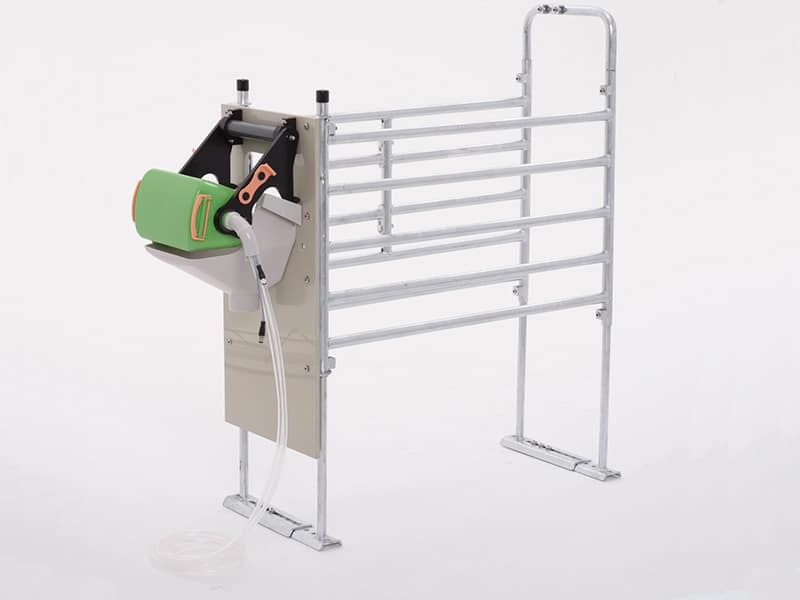 The HygieneBox is one of three components of our award-winning Smart Calf System – Learn more about the innovative HygieneBox, and discover the Smart Neckbands and Smart Water Station as well! 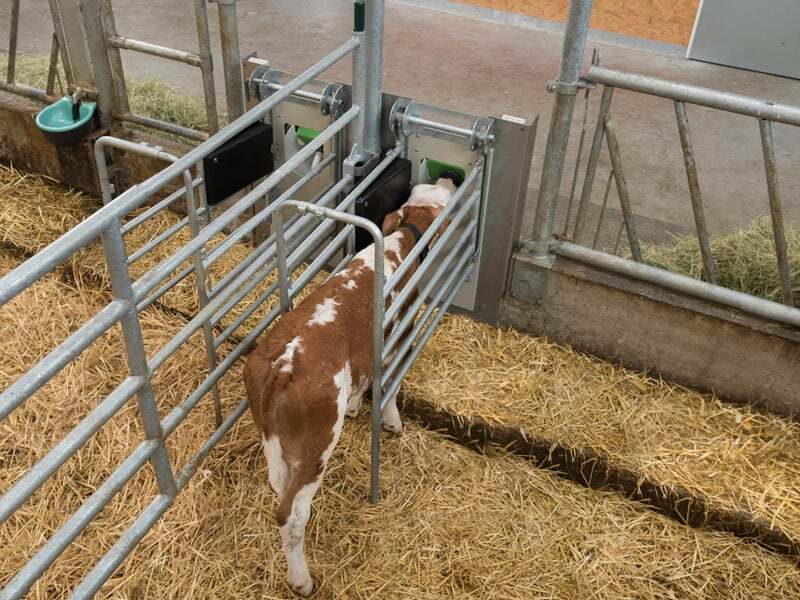 Thanks to mobility of the HygieneBox calves are able to act out their natural teat nudging behavior.